The first thing you notice is its size. Stretching across an 8-foot expanse, it features a blockbuster movie trifecta: crime, intrigue, a handsome leading man. 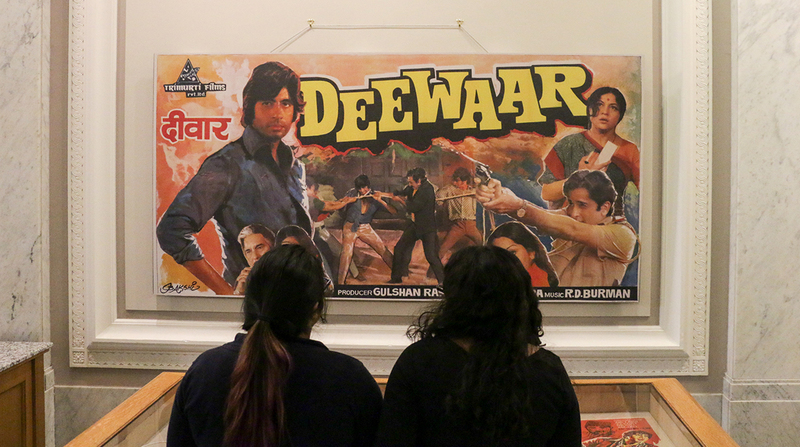 And it’s just one of the vibrantly hued, richly textured, and beautifully preserved movie posters on display in a new exhibit at Doe Library’s Brown Gallery, called Love Across the Global South: Popular Cinema Cultures of India and Senegal. The posters, dating from 1957 to 2011, were collected by exhibit co-curator Sugata Ray on his travels in India, and they offer eye-catching portals into the genre and its influence. “Every single piece is an integral part of the story we tell,” co-curator Ivy Mills said. Read the full story at stories.lib.berkeley.edu.